I was asked about this a little while ago in the context of Africa and WW1 and wrote about it in October 2018. In short, firsts allow the context of a situation to be set, they provide a point on the timeline that other events can be related to, but there is also the chance that the first is not the real first and in confirming what happened and when it did, other potentially valuable insights can come to light. Similarly, lasts do the same. 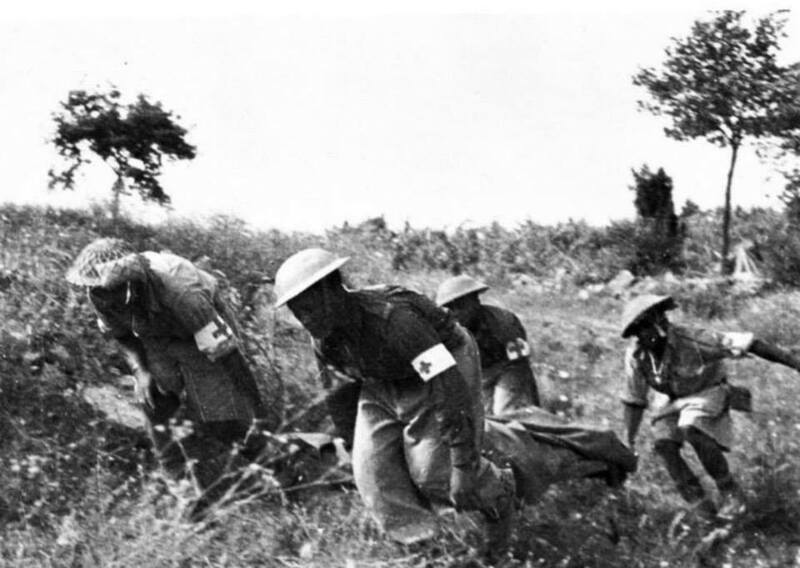 Specialists on the Western Front will be able, no doubt, to give the time of the last shot fired whether it was by rifle, machine gun, heavier artillery, unit and the last soldier killed will be known (Private George Ellison of the 5th Irish Lancers and George Price of the 28th Battalion Canadian Infantry). Answers will be dependent on the searcher’s context, eg American. And if you’re looking at Africa, each of the lasts meant something different depending on the area under discusion, with the final shots of the war fired on 13 November 1918 and the laying down of arms/surrender on 25 November 1918 in Abercorn. As with the discussion on firsts, exploring lasts opens up the conflict in its diversity. It also necessitates clarification of terminology as fighting or rather civil war continued in Russia which withdrew from the Great War in 1917. Similarly, territories in Eastern Europe continued to experience conflict as different groups fought for their rights and independence. The lasts merge into something else. Lasts, as with firsts, can give rise to myths, and ‘lessons’ – what is the significance between the first and last British soldiers who lost their lives in the conflict being buried 3 miles apart? In Africa, 1/4 King’s African Rifles from Uganda and the Northern Rhodesian Police, both involved from the outbreak of war, accepted the German arms in Zambia in November 1918 – what is not known (yet) is how many who started in 1914 were still there in 1918. And then we have the veterans – as far as is known, there are no more veterans alive from the 1914-1918 war. There might still be a few alive who were born around the time but none who served. As the list grew smaller, historians and others became more aware of lost opportunities to find out first hand. (Last widow, Scottish) By all accounts this realisation has spurred families and researchers to capture accounts of minority groups who participated in World War 2 before they are lost forever. We might yet get a more comprehensive account of Africa’s involvement in WW2 Burma and other theatres than we so far have with WW1, as a result – I certainly hope so. where is the line drawn? Where do those who died from influenza fit into the equation? did the person still need to be enlisted to be counted as a war statistic? where are the records? In the home country languishing in some basement? hidden amongst other papers in the old imperial archives? how are those whose home front became a battle front fit accounted for? was there a major sense of relief, sense of celebration linked with any of the cease fires in Africa or did life ‘go on’? What is significant looking at diaries of the last days of those who served in East Africa, whether personal or official, is the lack of mention of the end of the war either on 11 November or the weeks after. Those who have tended to mention the date were directly impacted by the news such as officials managing the armistice and peace discussions, involved in the final fighting or some administrative/logistic role. This lack of mention prompts questions over how men got to learn of the end of the war and what it meant for them stuck out in the bush. The Commander in Chief, van Deventer was keen to get men home as quickly as possible, and later Jan Smuts and Louis Botha were putting pressure on Britain to get South Africans home fast – why? And as a final consideration, lasts give an end, in the same way firsts give a start, in other words: periodisation…which in itself is useful and constraining, but that’s for another day. Proofreading a reprint edition of Cinderella’s Soldiers by Peter Charlton, it hit me that a number of archives concerning World War 1 in Africa have been damaged by fire or some other act of violence. I thought is might therefore be helpful to collate what is known to date [August 2018]. Please let me know if you have other information to add. Belgian and German documents were removed to Russia at the end of the Second World War. The Belgian documents have since been returned and are in the Royal Military Archive, Brussels. Do we know where the German documents are? Are they still in Russia or were they burnt/destroyed? I’ve heard both as explanations for why we cannot access German material on WW1 in Africa. The GWAA has a list of archives together with access information as supplied by members. Never such innocence – where was Africa? On 24 May 2018 I was one of the guests at the 2017/2018 Never Such Innocence Awards which was held at the Guards’ Chapel in London. My being on the guest list stemmed from providing additional input on Africa to the 4th edition of their book. To be honest, I didn’t know what to expect as I hadn’t really looked further into the organisation. It turned out this is a group with a punch – it was one of the most diverse events I’ve attended with young people attending from Canada, Greece and Romania, with apologies from New Zealand. Although there were no winners from Africa, 4 African countries had submitted entries. These were South Africa, East Africa and two West Africa (that is if my memory serves me right). What this equates to out of 7,000 entries, I’m not sure but given the challenges of getting African countries involved in remembrance activities on the African continent and in Britain, it was good to see some entries had been received. Regarding the winning entries, the standard was high and although most focused on the Western Front, the sentiments expressed by the young people were incredibly global. All credit to those who worked with the young people in providing background, context, encouragement and support. Two poems that struck me were The Indian Soldier by Jasleen Singh dedicated to the 1,4 million Indians who had served during the war, and Joel Brassington’s Forget Us Not in the Thank You section which was about the Gurkhas. Inspiring art works such as We will remember in sign language and thought provoking songs, especially Remember by Lydia Grigg. The two commendation awards deserve mention too. The first was a collection of sweetheart badges set in wing, while the second was a quilt composition created by three schools who collaborated, both capturing the diversity of function in war. In all, it was an afternoon of celebrating the achievements of the young with the seriousness of commemorating those who served in war in the hopes of making our world a better place to live. Fittingly, before everyone dispersed to socialise, we had a moment of remembrance and the Last Post. Other groups working to engage Africa and remembrance of Africa include Diversity House and Away from the Western Front. The basis of what follows is the introduction I gave at the MFest event for The Unknown Fallen on Allied Muslim involvement in World War 1. I was told to ‘speak from the heart’, so I did, feeling a need to clear the air on a few matters. Firstly, I recently watched an interview conducted by Yusuf Chambers and have to correct one point. He said it was the work of Allah who had brought us all together on this project. I disagree, it was God who guided me, but thankfully, God, Allah, Jehovah, Nkosi, Mungu are all names for the same being. Behind the differences, are many similarities – we need to scratch for them. Secondly, this seems the perfect opportunity to say thank you to my students who helped me see the world differently. Time has erased many of their names from memory and due to data protection, I can’t refer back to notes I would have kept to remind me – I don’t envy the historians of the future. Significantly, back in November 2000, I was asked by two relocated Muslim brothers from the old City of Jerusalem what all the fighting was about. ‘We are all brothers and sisters’, they said, ‘all children of Abraham’. My world opened and I was to learn that Apartheid which I’d lived through and seen the end of was not just about colour. It extended to religion too and was really about economics and self preservation of specific groups. People who were not white or black, were likely to be Muslim or Hindu and they lived, as blacks and whites did, in separate spaces so we couldn’t mix although in my home town there was a Muslim Indian family who owned prime property in the city centre and who by decree of Boer Paul Kruger could not be moved even at the height of Apartheid – and they’re still there today. Lesson: don’t take things at face value. Thirdly, I need to confess that had I come to The Unknown Fallen cold post-publication, it’s unlikely I would have bought the book. Why? It’s only on allied involvement, therefore biased. Islam is contentious within its own communities and more widely. Why, for example, am I told that the Aga Khan whom I understand, from the documents I’ve used, to be the Islamic leader in East Africa isn’t Muslim? And given the divide between north and sub-Sahara Africa, the latter would be ignored and left out, as it often has been in general overviews of the war published before 2014. At a conference in June 2017, Luc, Vera and I met. The conference organised by Diversity House aimed to Break the Myths around World War 1 in Africa and as a result of my challenging a statement made about Britain being racist by not giving black porters shoes at the start of the war, I was invited to speak at an earlier event and invited back to this one. About three months later, Luc got in touch – I hadn’t put him off by my ranting about Africa being ignored in remembrance events in Britain and how Africa will remember its involvement if Britain gives due regard to the sacrifices its Empire made. For Africa, World War 1 was just another war in a string of many, this one differed in length and that now black men were instructed to shoot and kill white men. Luc wanted information on Muslim involvement in sub-Sahara Africa during World War 1. Thankfully I’d been working on the topic for a journal article. The challenge was I couldn’t use the same material for copyright reasons and as I didn’t know when the article was being published, couldn’t cross-reference it. As it turned out, the article wasn’t published as I refused to discuss how the campaign in East Africa had influenced the development of Islam and I had stated that the German Governor had declared a jihad. This was not possible, I was told, as he had no authority. I couldn’t argue – Islam is not my specialism; World War 1 Africa based on documentary evidence is. But isn’t life amazing? The day I met with Luc and Vera to discuss my contribution, researching at the British Library I came upon a telegram from the Muslim League of Southern Africa to the Governor General Lord Buxton. It expressed sympathy on the loss of his only son and gave reassurance that the Muslim community was fully behind the British war effort. There was the new information I required which could be built on. But that was not enough. Over the years, I have learnt to check assumptions and to do so carefully. For this I have my phd supervisors to thank. I challenged the view of Lord Kitchener which they would only accept with documentary evidence, which I found. What a pity he hadn’t been allowed to return to Egypt at the start of the war, although I also believe he was the best man to head Britain’s war effort but that’s all for another day. Lesson: Dig down, till you find the truth. So you can imagine my surprise when I discovered the Cape Corps, comprising Cape Coloureds, were not Muslim. How did I get to that assumption? Dr Abdurahman of the African People’s Organisation had written something like 32 letters offering to raise a contingent of 500 Cape Corps for service in the war, and he was Muslim. Documentary evidence though pointed out that the Cape Corps was Christian – important for dietary provisioning. So, I learned only last year (2017) of the difference between the Cape Coloured and the Cape Malay – people of my own country. I now wonder how many Muslims renounced their faith in name to serve in the two Cape Corps. There’s no mention in the white officers’ memoirs of the two corps of any religious differences, or of religion being mentioned at all that I’m aware of. In fact, the absence of any mention of religion in most memoirs suggests it was not an issue – remarkable when you know that the majority of Indian, Arab and black troops were likely to be Muslim based on where they were recruited from – tribes or micronations along the African coast and slave routes. We know there were Christians, Hindus, Sikhs, men of Jewish faith and ‘pagan’ as they were referred to then, all serving together with Muslims – all suffering together from ration shortages and surviving on what got through and was scavenged. Yet, no one mentions religious requirements, and neither do they feature in the ration allocations recorded in the Pike report into medical conditions. In fact ration quotas are based on function and ethnicity, not religious. Men served together, loyal to their commanding officer, the one who would ensure their safety and security, not ideals of right and wrong and this is why the jihad declared by the German Governor failed. Neither did his instructions to fly the crescent moon above the German bomas or forts attract British soldiers away from their fight. They had all confidence in their leaders. As a result, I had no issue writing about Muslim involvement on both sides of the war and had to have Luc explain the impact of doing so on the overall project. Entering the realms of politics would be messy – this together with the comments received on my article reconciled me to The Unknown Fallen being about the Allied involvement. We cannot run before we can walk and within one camp, that of the Allies, there is much to discover about the diversity of contribution and the humanity of man – that is mankind. The book appears unbalanced. In all, there are at least 4 sections on Africa, three contributed by myself and I’m conscious I’ve not said anything today about West Africa – it’s in the book. Luc was addressing knowledge gaps, looking at what would entice people to become engaged. And it’s worked as I’ve subsequently been hearing from non-Muslim people I’ve introduced to the book. We argued over the images which are meant to be ‘unique’ – I instantly recognised Juma, but none of Luc’s invisible (to me) experts had – everything was double and triple checked to ensure appropriateness of language and content. I’ve said on numerous occasions, this is the most thoroughly reviewed and rigorously checked book I know. Now, looking at the book, it’s good to see Juma’s familiar face, those of the South African Native Labour Corps and the West African Frontier Force. It feels like home in some ways. But I’m constantly awed by the image of the Christian service taking place at the same time as Muslim prayers, the vast sky over Verdun and the regalness of some of the portraits. Isn’t it sad though, that I felt I had to ask Luc to include a disclaimer that the original author was describing people as he saw them – with an artist’s eye – in admiration. I think he, the artist, would be horrified to learn that what he’d written was seen as hurtful and derogatory by some today. We can’t apply today’s criteria to assessing the past. We need to understand the past as those who were there lived it and interpreted it – warts and all. Only in this way will we truly understand the sacrifices all made in their attempt to make our world slightly better. I’m constantly reminded of this in my research and it’s what makes The Unknown Fallen a special book. It’s been, and remains, an honour. And I’m the proud owner of a copy of The Unknown Fallen – ask anyone who’s had to be subjected to me showing the book off. Baraka Allahu fika (May God’s blessings be upon you). Shukran. Further investigation proves that all relate to first or family names… It’s obviously going to take some more digging to identify the religious breakdowns as depicted on the headstones than a simple search. If anyone gets there before me, please share your findings. * I don’t usually listen to recordings but this one by Ben Okri caught my eye and supports exactly what I feel about ‘colonising’ and ‘decolonising’. A legace of the British Empire is the British Commonwealth of Nations – something else Okri addresses and appropriate to be included here. I heard about this book from a friend who wanted my opinion on the idea of geography impacting on politics, particularly around Africa. I jumped at the opportunity as geo-politics was one of the theories underpinning my thesis which looked at why Britain and South Africa went to war in East Africa in the Great War. The war didn’t feature too much in terms of Africa, although there was mention of the boundaries having stayed relatively static from before the war. This is an informative book and Tim has covered a huge amount of ground – geographically, politically and over swathes of time. It’s quite an accomplishment and reflective of the ‘hot’ areas. Those territories which are most volatile and which have the potential to impact on the greater part of the world get the most attention, so it’s not surprising that Africa is covered in fewer pages than most other areas. It’s not a case of discriminating against Africa, it’s what the geography dictates. There were a couple of eye-brow raising moments, most notably around the Artic and the consequences of the melting ice packs. Linked to this surprisingly is Bangladesh and the fact that it could be drowned. My geography was clearly challenged and corrected on a number of occasions – and that was without looking at the maps. Having had the discussion on the book, my friend thought the maps quite accurate – I can’t comment as I don’t tend to ‘do’ maps, I can spend hours trying to work out relationships and other quirks to the benefit of no one or thing other than time-wasting. Comparing what was written about South America and South Africa, I wonder what led to the difference in approach to the plateau? – was it the Boers’ complete desire for independence which drove them up the escarpment while there was no such impetus in Brazil? The discovery of diamonds and gold consolidating the movement inland. It could be a worthwhile book to read for those considering changing country – I recall being taught at school that it wouldn’t be wise to move to Belgium or Poland as those two countries are always invaded in a regional conflict. Prisoners of Geography bears this out. Wednesday 11 July 2018 was the premier of the William Kentridge exhibition The Head and The Load – the telling of the story of the carriers of World War 1. To be honest, I hadn’t been sure whether or not I wanted to see it, but prompted by David McDonald (CWGC) I went and am glad to have done so. The venue was the Turbine Hall at Tate Modern – a fitting space for the topic, and the idea but I’m not sure it worked as effectively for the audience which extended the length of the stage – this meant that if you sat at the end, you couldn’t see what was happening at the other – and there was a lot going on. I recall thinking at one stage, there’s too much energy on the stage to fully reflect the exhaustion the carriers would have experienced and which we were being told about. Trying to capture four years of conflict and the role of the carriers from across the African continent on both the African continent and the Western Front in 70 minutes would be a challenge for most. In all, one can only expect the essence to be conveyed and this was aptly done. Although I did wonder to what extent someone with limited knowledge of Africa’s involvement in the war would have been able to make connections. The value in such a production though is its reflection of current memory and understanding of aspects of the war. The three direct mentions of the two boats – Mimi and Toutou – being dragged across land from Cape Town to Lake Tanganyika, the Chilembwe uprising and allusion to the Western Front, are telling; although the title originates with the Gold Coast bringing in an awareness of West Africa. Significantly absent despite all the media was mention of the SS Mendi and the loss of over 600 lives when that ship went down. Many myths are by nature perpetuated, not least in the short history appearing in the programme booklet. In contrast, however, to much of what has gone before, The Head and The Load shows how knowledge of the diversity of men and women involvd has filtered through – this was most refreshing. The inclusion of a French West African, Frenchman and German character (a screetching Eagle hovering above the men on the ground – how the actress protects her voice to enable her to make such noises is beyond me) as well as a ‘White Father’ missionary musician being a taster. The diversity of language too, mostly aided by translation on the wall again reflected some of what it must have been like at the time. A very effective scene was the apparent never-ending carrying of the loads, the use of cut-outs and lighting to create large shadows on the wall behind of the diversity of load transported, as many of the wide-pan photos of carrier lines indicate. The highlight for me, though, has to be the performances by the two carriers on the march, the one flagging, the other trying to keep his companion going. This followed from a foot-stomping session reminscent of mine dancing I grew up with. The energy and realism of the two was something to behold and rather moving as the flagging man eventually ‘died’ to be drag-carried across half the stage by his companion – his eyes glazed over unblinking for quite some time. This is sure to be an enduring memory of the show. I’m not sure I understood all or even most of what Kentridge was trying to portray, but it was definitely worth seeing, if for no other reason than to gain insight into perceptions today of African involvement in World War 1. See what BBC had to say and show.